Liquid vitamin B-12 supplement with methylcobalamin is based in ACTIValoe® aloe vera juice in a 2500mcg power dose to maximize your body’s natural energy. Brain Power– Vitamin B-12 is required for the proper development and functioning of the brain, nerves, blood cells, and many other parts of the body. Liquid vitamin B-12 supplements are used by many people to promote memory and concentration. Nutritional Support for Vegetarians– Plant foods do not contain vitamin B-12 except when they are contaminated by microorganisms. 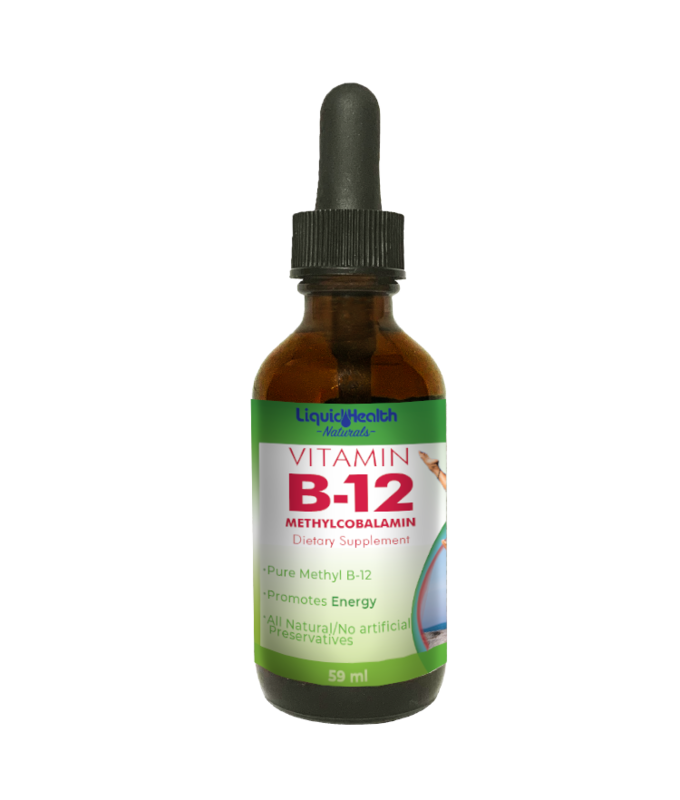 Liquid Health™ Vitamin B-12 drops provide vegetarians and vegans with a reliable source of supplemental liquid vitamin B-12. Safe Energy– Liquid vitamin B-12 supplements have been used for years by health enthusiasts to promote energy in a sustainable, safe manner. Vitamin B-12 fights fatigue and weakness by supporting the circulatory system and protecting against deficiencies in those vitamins necessary for energy production within the body. Because it supports your body’s natural systems, you can avoid the rebound drop in energy experienced by many of those who take less natural, inferior stimulants. Directions: Shake well. Dispense from dropper directly into mouth or cold beverage. Recommended Use: Adults 1 ml –ª Children 1/2 ml or as directed by a health professional. Other Ingredients: ActivAloe® Aloe vera juice, Vegetable glycerin (USP), Natural flavoring, Potassium sorbate, Potassium benzoate. *ActivAloe® is a registered trademark of Aloe Corp, Inc.
dose without proper blood monitoring.